Jackie Robinson, at the age of 27, became the first Black Baseball player in Major League history (1947). 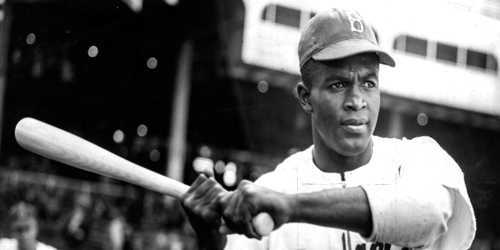 He broke the color barrier when he became the first black athlete to play Major League Baseball in the 20th century. He signed with the Brooklyn Dodgers in 1947, and was named Rookie of the Year that year, National League MVP in 1949 and a World Series champ in 1955. Jackie Robinson (January 31, 1919-October 24, 1972) was the first black athlete to play Major League Baseball in the 20th century, signing with the Brooklyn Dodgers in 1947. Throughout his decade-long career, Robinson distinguished himself as a talented player, with an impressive .311 career batting average. He was also a vocal civil rights activist. He died in Connecticut in 1972 from heart problems and diabetes complications. Jackie Robinson faced virulent racism. Members of his own team refused to play with him. Opposing pictures tried to beam his head, while base runners tried to spike him. He received hate mail and death threats daily. Fans shouted Racist remarks at him in every ball park. Hotels and restaurants refused to serve him. One game in Cincinnati the crowd was especially insulting. They were yelling unimaginable insults at Jackie Robinson. Jackie’s teammate Pee Wee Reese recognized that the crowd was getting to Jackie. 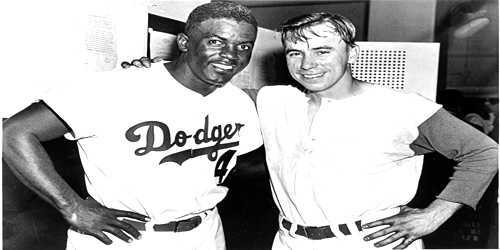 Pee Wee Reese walked across the field and put his arm around Jackie. The two smiled at each other. Their compassion silenced the crowd. Jackie Robinson’s Actions affected the world far beyond Major League Baseball. His courage and discipline in standing up against racism were a preview of the actions taken by many members of The Civil Rights Movement. The success of the Jackie Robinson experiment was a testament to fact that integration could exist. 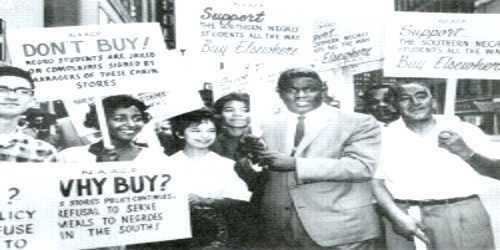 Robinson was a vocal champion for African-American athletes, civil rights and other social and political causes, serving on the board of the NAACP until 1967. In July 1949, he testified about discrimination before the House Un-American Activities Committee. In 1952, he publicly called out the Yankees as a racist organization for not having broken the color barrier five years after he began playing with the Dodgers. In his later years, Robinson continued to lobby for greater integration in sports. How Did Jackie Robinson Die? 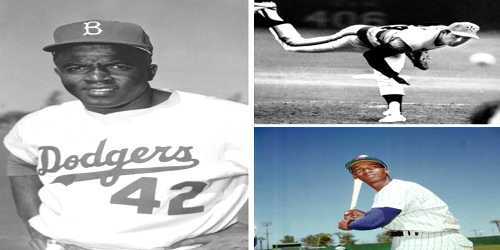 Jackie Robinson died on October 24, 1972, in Stamford, Connecticut from heart problems and diabetes complications. Robinson led other ballplayers in urging baseball to use its economic power to desegregate Southern towns, hotels and ballparks. Because most baseball teams integrated relatively calmly, the “Jackie Robinson experiment” provided an important example of successful desegregation to ambivalent white southern political and business leaders. The courage and grace with which Robinson handled the abuses inspired a generation of African Americans to question the doctrine of “separate but equal” and helped pave the way for the Civil Rights Movement.